The desire for, and act of burying, a pet’s remains – whether in a family cemetery plot or other sacred space – is not a recent trend. People have been doing this for millennia throughout history and throughout the world. Whenever such practices were not culturally sanctioned, it’s likely that there were still those who would have opted for a sacred burial at the passing of a beloved animal companion. This section will present some of the more salient aspects of pet burial. To submit an article, please contact us. There is great evidence from throughout history of humans and (other) animals being buried in the same or adjoining burial plots and vaults. Hoegh Industries is a pioneer of pet caskets, and has been producing a quality product since 1966. Hoegh pet caskets are vacuum formed out of high-impact styrene plastic… In 2002, over 35,000 caskets and burial shells were sold. 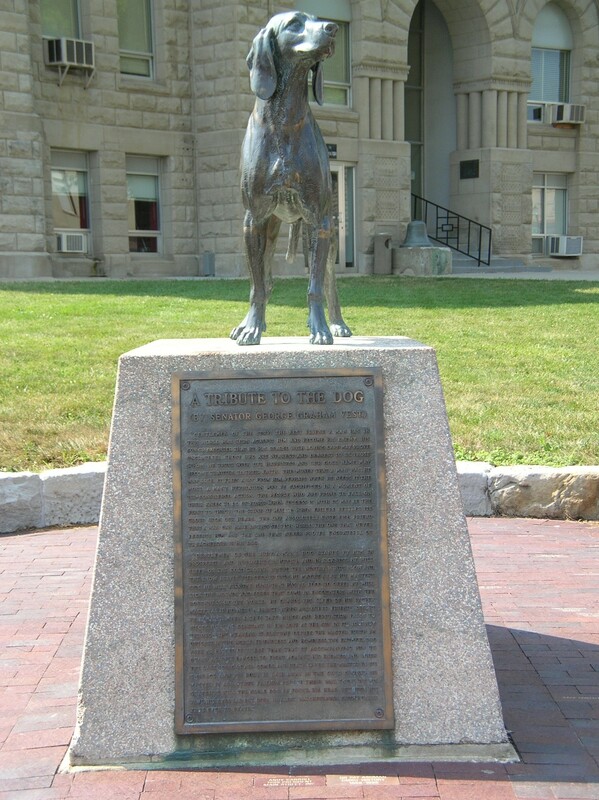 “George Graham Vest served in the United States Senate for twenty-four years, from 1879 to 1903, but the act for which he is best remembered is a speech delivered in an insignificant court case while he was still a lawyer in rural Missouri…The lawsuit that brought him immortality concerned the shooting of ‘Old Drum,’ the best hunting dog of a local farmer. A neighbor who suspected that Old Drum was moonlighting by killing his sheep gave orders to shoot the dog if it appeared on the property again. When Old Drum was found dead near the neighbor’s house, the farmer filed suit, seeking damages of fifty dollars…Vest’s summation to the jury (pdf) at that trial has become familiar to dog lovers across the country through succeeding generations” (Senate History: Classic Senate Speeches). For more information, visit the memorial page here. Globally you can see that there are more dog burials in prehistory than any other animals, including cats or horses. Dogs seem to have a very special place in human communities in the past. As soon as we see skeletal remains that look like the modern dog—say 14,000 years ago—we see dogs being buried. January 20, 2016 – South Korea – The Ministry of Agriculture, Food and Rural Affairs asserts that “pets treated at animal cremation facilities will no longer be classified as waste under the revised law. Animals not treated at cremation facilities will still be subject to the waste management law, which requires pet owners to dispose of the bodies as waste.” Read article.